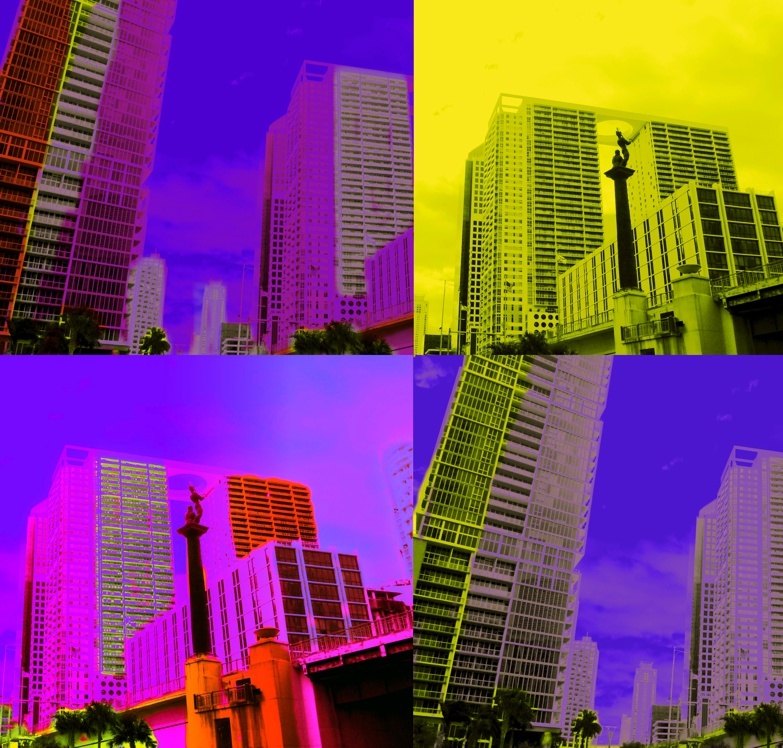 In our previous article about the Art Basel Miami week we spoke about the fairs in Miami Beach. Let’s focus now on the fairs in Miami. The sister fair to Art Miami, dedicated to the development and reinforcement of emerging and mid-career artists. Untitled, Art is an international, curated art fair founded in 2012 that focuses on curatorial balance and integrity across all disciplines of contemporary art. Untitled, Art innovates the standard fair model by selecting a curatorial team to identify, and curate a selection of galleries, artist-run exhibition spaces, and non-profit institutions and organizations, in dialogue with an architecturally designed venue. A juried, contemporary art show in the heart of Miami featuring an international slate of galleries. The show features galleries showcasing over 500 leading contemporary artists, and includes Art Labs, events, and informative Art Talks focused on collecting. Now in its 10th year, the five-day event attracts over 30,000 visitors, a majority of whom are high-net-worth collectors. Spectrum Miami—a juried, contemporary art show in the heart of Miami’s Arts & Entertainment District, November 30 – December 4, featuring an international slate of artists and galleries. It’s where contemporary meets extraordinary. A 5-day fine art experience, featuring Art Labs, Art Talks, Meet the Artist sessions, music, entertainment, and other special events. This year, the five-day fair has partnered with the Association of Women Art Dealers (AWAD), a non-profit trade network on a mission to facilitate business between and for women art dealers. This art fair was conceived as a showcase of world-class galleries, artists and projects in an indoor booth setting at the Riverfront Hall. This grand show space overlooks the one-of-a-kind outdoor Riverwalk Sculpture Mall that will feature monumental sculpture on the banks of the historic Miami River. Organized by Nina Torres Art Productions and produced in collaboration with the Foundation of Contemporary Art. ERIC GINSBURG’S FRIDGE FAIR COMES TO THE BETSY HOTEL FOR ART BASEL MIAMI BEACH 2016. Suggested charitable donation of $10 with proceeds donated to SPCA programs in Bulawayo, Zimbabwe. The “Mini Fridge” experience is curated by Eric Ginsburg from an international call for wide-ranging works coming from past Fridge exhibitors and new voices. The Curated Mini-Fridge Fair will be open through Art Basel | Miami Beach – in the Underground Gallery, accessible through the front door of The Betsy – at 1440 Ocean Drive. PINTA Miami is an exclusive and intimate art fair created as a venue for the exhibition and promotion of Latin American, Spanish and Portuguese art that includes the participation of fifty prominent galleries from the United States, Latin America and Europe. With a focus on the abstract, concrete, neo-concrete, kinetic and conceptual art movements, this carefully curated fair creates a platform that allows for a broader discussion amongst artists, curators and collectors. A group of five internationally recognized curators have been chosen to curate the newly designated sections of the fair. Our mission is to create an accessible means for galleries, artists, and designers to directly reach a targeted clientele within a dynamic setting. While we operate as an alternative to mainstream fairs, with each edition of Superfine! we create a cutting-edge marketplace where buyers, sellers, and artists can operate transparently on an even plane, rather than in the opaque art world of yore. We put the “fair” back in art fair by both providing exhibitors with an affordably priced, high-impact space, and creating a full and dynamic environment for our attendees. Through our efforts in Miami and around the world, we continue to build a platform where artists and their champions thrive and collectors gain access to the highest quality original artwork and design by the most talented artists on the planet. WorldArtVision December 1-15, 2016. WAV is a curated art exhibition for international independent artists. WAV has now displayed high-quality art in various prestigious locations in Cancun, Mexico; in Barcelona and Madrid, Spain. WAV artists will have their own space to exhibit at Art Fusion Galleries Miami, in the vibrant Wynwood Art District. Admission free. Art Fusion Galleries, 3550 North Miami Avenue, Miami FL, 33127. Monday-Saturday 11am-6pm. The new “waterfront fair in the round” focusing on modern and contemporary works will be held in a spectacular waterfront fair venue in the heart of downtown Miami’s Arts, Museum and Entertainment District during America’s largest international fair week. Just steps from world renowned restaurant dinning, five star hotels and luxury shopping the fair offers abundant parking and shuttle service. Works from the masters of Modern and contemporary art, as well the new generation of emerging stars. Large‐scale artworks, films and performances at Collins Park and SoundScape Park.